• In large pot, boil the peppers with water for 2-3 minutes; drain. • Cook ground beef; drain and return to skillet. • Add water and bring to a boil. 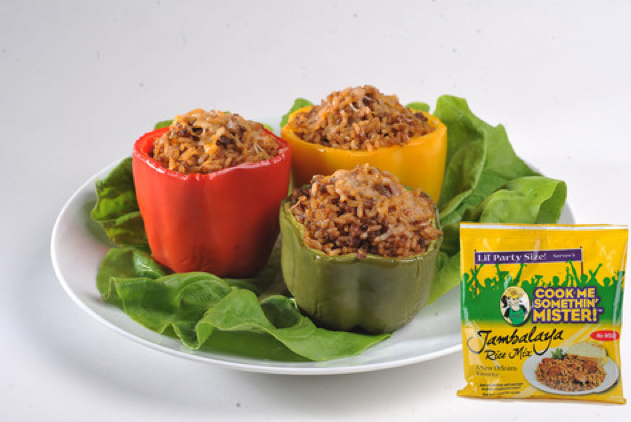 Add Jambalaya Rice and bring back to a boil. 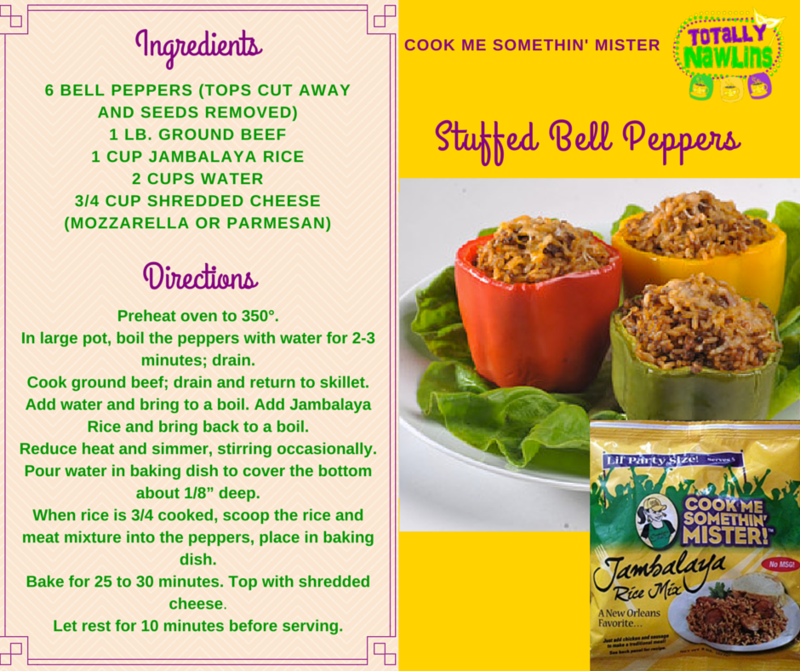 • Reduce heat and simmer, stirring occasionally. • Pour water in baking dish to cover the bottom about 1/8” deep. peppers, place in baking dish. • Bake for 25 to 30 minutes. Top with shredded cheese. • Let rest for 10 minutes before serving. 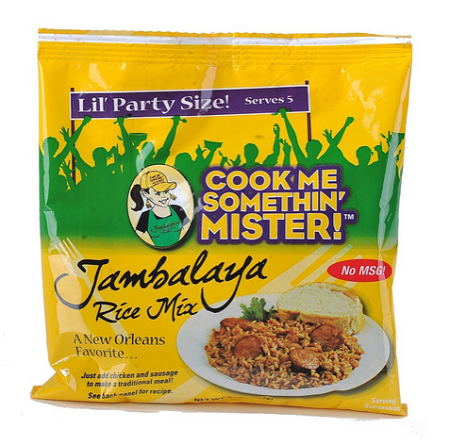 Purchase your Cook Me Somethin' Mister Jambalaya so you can make this delicious recipe become a reality in your own kitchen!